Thanks U all for recognizing Vfx involvement and encouraging us. Thanks to entire Maattrraan team for great support. Surya2 is how credits roll for ‘Maattrraan’ (‘Brothers’ in Telugu), the fifth double role by actor after ‘Perazhagan’, ‘Vel’, ‘Vaaranam Aayiram’ and ‘7 Aum Arivu’. And thanks to him, it is double the performance and double the fun, though it would have meant enormous effort on his part to portray both the characters in a very convincing manner. It would also have been double the work for cinematographer S Soundar Rajan and VFX supervisor V Srinivas Mohan, whose world class work is one of the highlights of the film. The live action and the graphics blend seamlessly on screen in all the scenes involving the conjoined twins. The biggest challenge for a VFX supervisor is that the special effects should not stick out like a sore thumb, and Srinivas Mohan passes the test with distinction. The fight sequence in an amusement part is one of the highlights of the film, and stunt supervisor Peter Hein and Soundar Rajan come up with some imaginative and eye-catching visuals to captive the audience. The real success of visual effects in Maattrraan is when you no longer realize the complexities involved in making Suriya act as conjoined twins. The Motion Capture technology, earlier used in the Adventure of Tin Tin, is for the first time used to portray the conjoined twins. Visual Effects Supervisor Srinivasa Mohan’s (Enthiran fame) work is truly world class that not even in one scene will you be able to spot any flaw. The VFX for showing overlapping body parts, face and expressions are so minutely handled. Visual Effects is so perfectly done to the point that the critics and award committees may end up overlooking the role of visual effects department as both Suriyas look so real to life. Maatraan gets a lot of help from the Srinivasa Murthy’s VFX department and the way everything looks natural in the first half, even when two Suriyas are standing next to each other throughout is a tribute to their work. 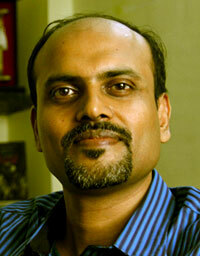 Soundar Rajan’s cinematography works in tandem with the effects and impresses. Meanwhile, editor Anthony gets the toughest job of editing the film that is filled with added effects and touches and despite everything, he joins bits and pieces pretty well. 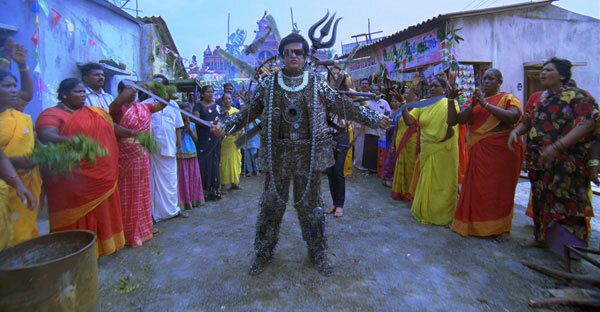 The VFX done by Srinivas Mohan of Enthiran fame is as good as any foreign film. The action scenes of the conjoined twins in the amusement park, and the way they dance together look so real on screen. 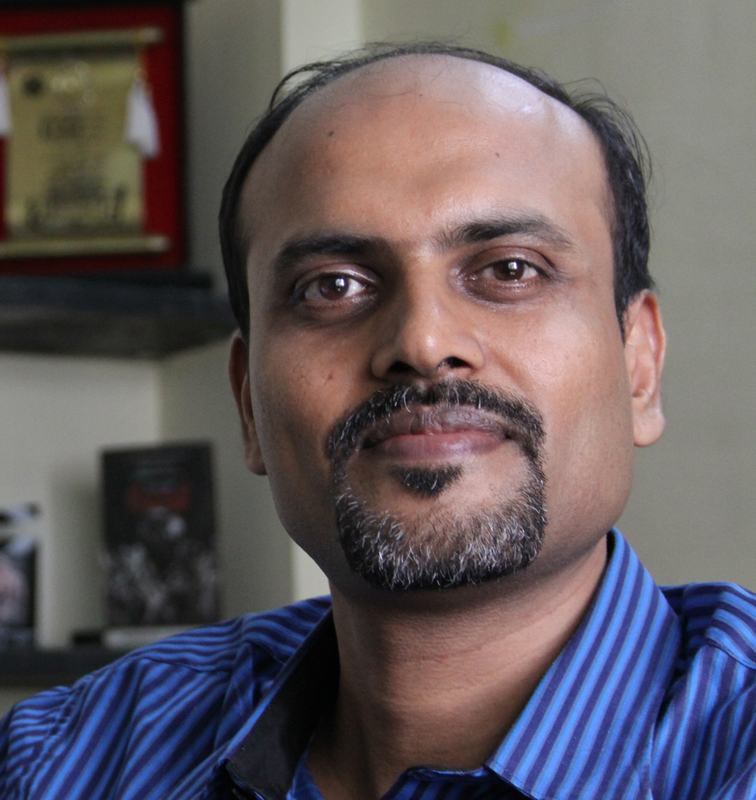 KV Anand is a director with a vision and he knows how to bring in the right mix of entertainment elements. 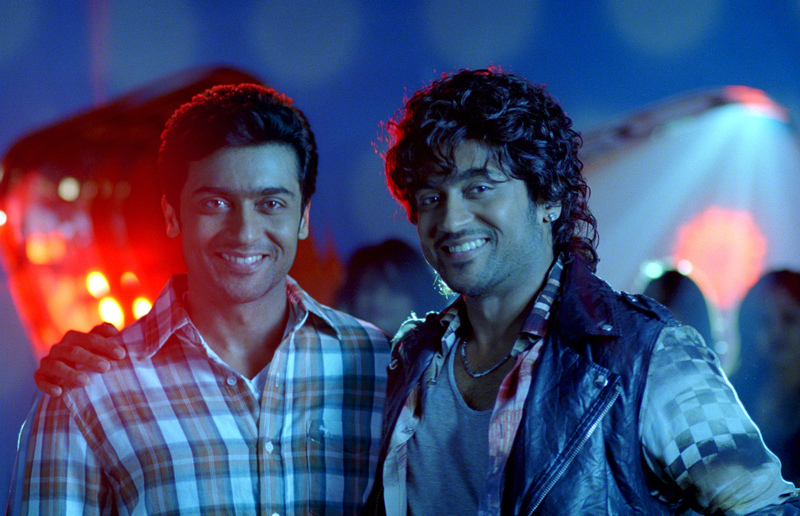 Suriya packs double punch with roles – the studious Vimalan and the cheerful Akhilan. Needless to mention, Suriya is the star of the movie and he brings out the character dissimilarities as is needed to show differences in the roles. While any double role demands much from the actor, the role of a pair of conjoined twins is not only demanding but also technically challenging. Anand’s samurai in VFX Srinivas Mohan ensured that there are no slip ups in the VFX part of the movie and ensured that the visual effects remain on par with international movies. Technically, the film was way ahead of the league, especially in the visual effects department headed by Srinivas Mohan, who made the conjoined twins look as real as possible. Editing by Anthony is satisfying, while music by Harris with visuals sounds better. Had great time working with Maattrraan team. Thanks to K.V Anand, Surya, Soundhar, Antony, Banu, Rageevan and producers of AGS for great support. Experimented with new technics to achieve believable conjoint twins and make our work invisible in the flow of the film. Special thanks to my entire vfx team for making this possible. The multi-crore Rajinikanth-starrer Endhiran (Robot) opened to a frenzied response in theatres across worldwide on OCT 1st.The trilingual movie in Tamil, Hindi and Telugu with English subtitles produced by Kalanidhi Maran and directed by Shankar has Rajinikanth and Aishwarya Rai in the lead roles. It‘s a sci-fi emotional movie in which Rajinikanth plays a dual role of a scientist and a robot. The scientist Dr. Vaseegaran creates a robot with artificial intelligence and names it as Chitti, the film goes on to show how Chitti mingles with society. Its a visual effects showcase to the world audience from India. Biggest budget film ever made in India,Which dawns a eye opener in the visual effects industry with the collaboration of the best resources both from western and Indian technocrats ($41,675,740 approximate). 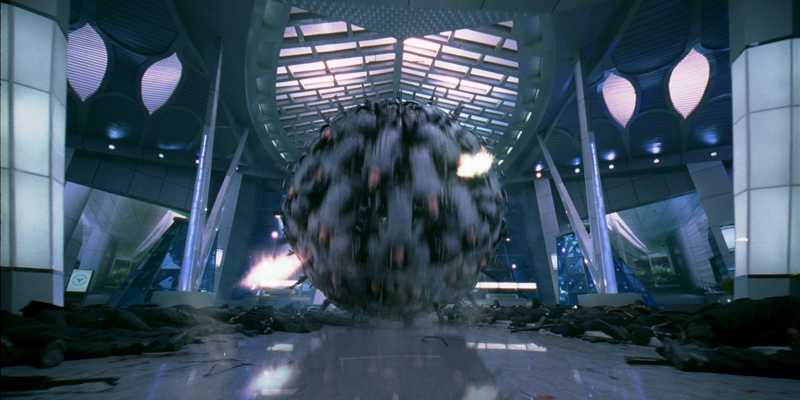 The movie required a unobtrusive VFX of over 2000 shots that add up to around 60 scenes in the film. V.Srinivas Mohan handled the entire film Visual effects as a Vfx supervisor. Frankie Chung and Eddy Wong were the additional supervisors for there respective work. The Visual effects of the film glimpse the boundaries with collaboration of studios like LA based Legacy effects US (Stan Winston Studios),Indian Artists Computer Graphics Pvt. Ltd(Chennai),Menfond(Hong kong),kinomotive(Hong Kong),Hyderabad based Firefly Studios; Chennai based VenSat, Pixion, EFX Prasad Studios, Ocher Studios, Mayans Creatives. Also some freelancers from London, Canada, Iran, Germany, France and Hong Kong were part of the project. The 80% of the VFX work has been handled by Chennai based studio Indian Artists Computer Graphics Pvt. Ltd.Indian Artists had been earlier facilitated with 2 Indian National Award for excellence in Visual effects for film by Indian government. Lastly been grabbing the award for its excellent work in Tamil Movie – Shivaji for Digital Skin grafting technology used in the Film song. Making a Indian superstar look like European complexion. Considering the budget and time line. Budgeting and VFX scheduling had been the crux of the project to get it delivered. Mr.V.Srinivas Mohan had the dual role of being a VFX supervisor of the film and VFX producer along with Mr.T.K.Jayakumar in roping the right resources across the world. The Vfx team has used some unique technology such as the Doom Light stage scanning for detail high resolution CGI face. Also the Indian Artists have developed a new proprietary skin shader plugin with the help of Jupiter Jazz, the developers of shake. The shader is open source and the code for it is available at https://code.google.com/p/jupiterskin/. Pre visualization was one of the most important part of the visual effects work involved in the movie. Sanath P.C from Firefly Studios Supervised on the pre production of the scenes. About 40 scenes were pre visualized in the preproduction stage and done in animation before going in for the shoot. The pre production for these scenes alone took about 6-7 months. Some of the Major jinx in the visual treatment were the motion control shots which had multiplication of the ROBO character. Which involved lots of planning before going for the shots and getting it 100% done with less penny shed. Having the Frame information of the top and bottom in the super 35 format, Indian Artists deviced a Camera rig to get perfection with manual control without the actual motion control rigs, Which costs huge pie and time consuming, if it were been used for compelete project. Association of Legacy Effects had given the right value addition to film with live interactions and necessary story blending which was never been attempted in Indian Cinema. Mr.Vance Heartwell and Mr.Alan Scott has helped in all stages of the animatronics and special make-up. Motion Graphics and Head UP Displays in the film have been Minor Parts which was taken care in detail to reveal the story and give the science fiction texture to the visuals. Which had been complete undertaking at Indian Artists. Direction Team was keen in not having too many eye poppers in actually spoiling the storyline. The Story establishes the robot character to distinguish from the scientist which was donned by the same superstar Rajinikanth. Which involved lots of head removals and dual character interactions with live with Animatronics blends with character movement. Which had a meticulous planning in execution and shot planning with seamless blending of compositing. The Seamless blending of Key frame Animation,Motion capture, Animatronics, Multi Robots, Real model/texture scan of character had given the right photo-real blend to story. VFX have been seamless and consistent with right colour timing from the DI Team lead by Mr.Ken, Reliance media works. The most interesting and challenging sequence in the movie was the climax sequence. The climax sequence involves 100s of robots grouping into a cluster with their electromagnetic powers and forming different shapes and forms of characters such as a giant snake and giant human. “Each of the robots had a separate biped and each of them had to be animated to for the formation of the final form and characters to be smooth, such the formation of the head of the giant snake. It was a challenging and exciting task to bring about the desired output. Frankie Chung worked on the character designs for the climax sequence and Jack Ho has helped on location” added Mr.V.srinivas Mohan. “It was a wonderful experience working for the project. I have to thank entire Vfx team, Director Shankar, Actor Rajini, Producer Sun pictures Kalanithi Maran, DOP Ranthnavelu, Art Director Sabu and Editor Antony for giving their great support in this entire execution process. For the audience the movie is an experience of few hours, but for us it was an unforgettable experience of about 3 years. We enjoyed each and every day and the last 6 months had been sleepless nights” thats how Mr.Srinivas gratitude’s the effort with humble smile. Indian Artist Computer Graphics Pvt. Ltd.